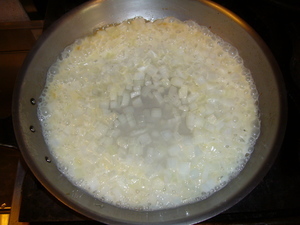 Head a pan over high heat. 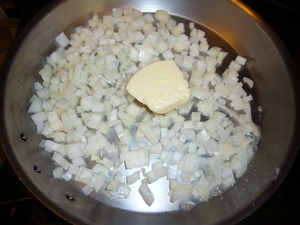 Add the onions and 1 tablespoon of the butter. 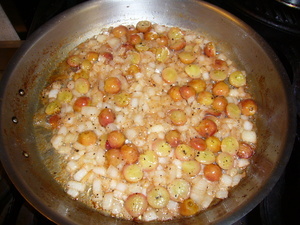 When the butter has melted and the onion starts sizzling, add the wine. 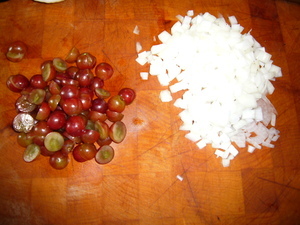 Reduce until the wine is almost gone. 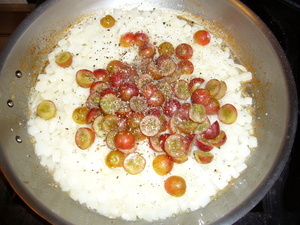 Add the grapes and a couple grinds of black pepper. 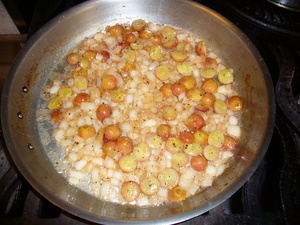 Continue to cook over high heat until the grapes start to release their juice and soften a little. 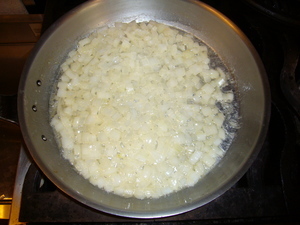 Remove from heat, and stir in remaining butter, stirring constantly till the butter is emmulsified. 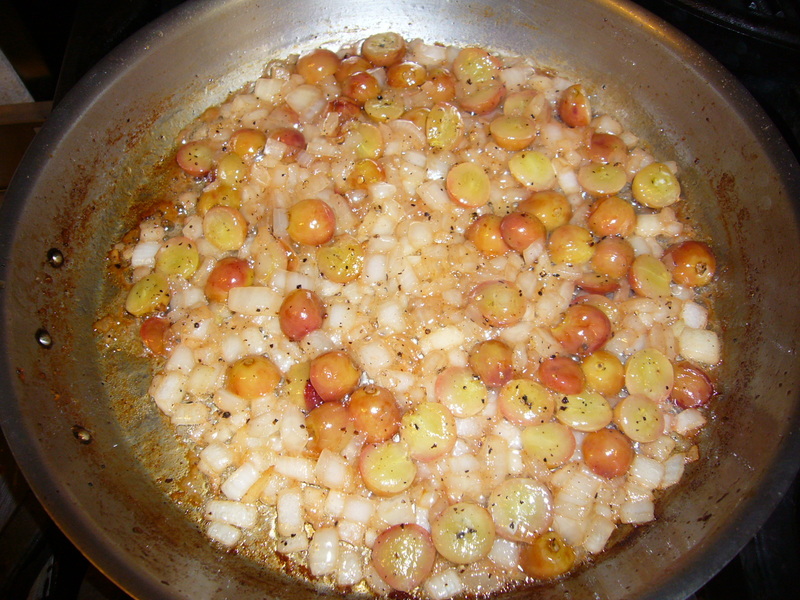 If using the sauce with the grape chicken, pour any collected chicken drippings into the sauce before serving, and stir to incorporate.